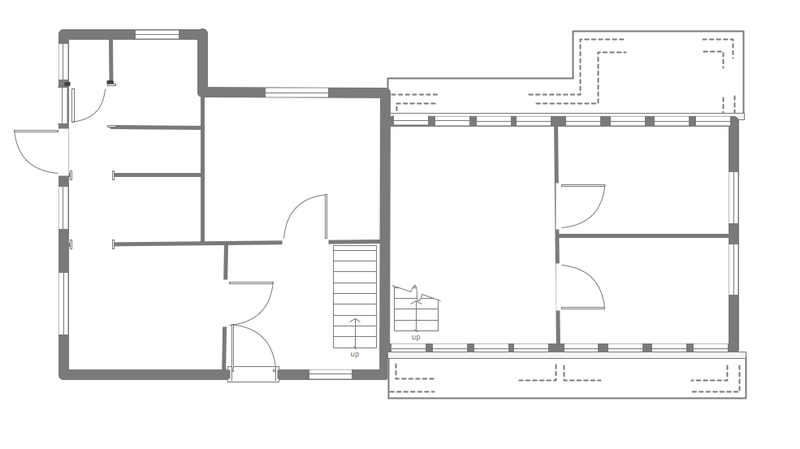 The blueprints are the set of drawings used by architects and builders in the process of construction of the buildings. The blueprints represent the top views on the buildings (homes, offices, etc.). They are drawn in the scale and use the special blueprint symbols and blueprints codes. Earlier the blueprints wer printed on the special paper and was blue. It's very easy, quick and convenient to draw the professional looking blueprints in ConceptDraw DIAGRAM diagramming and vector drawing software. Pic 1. 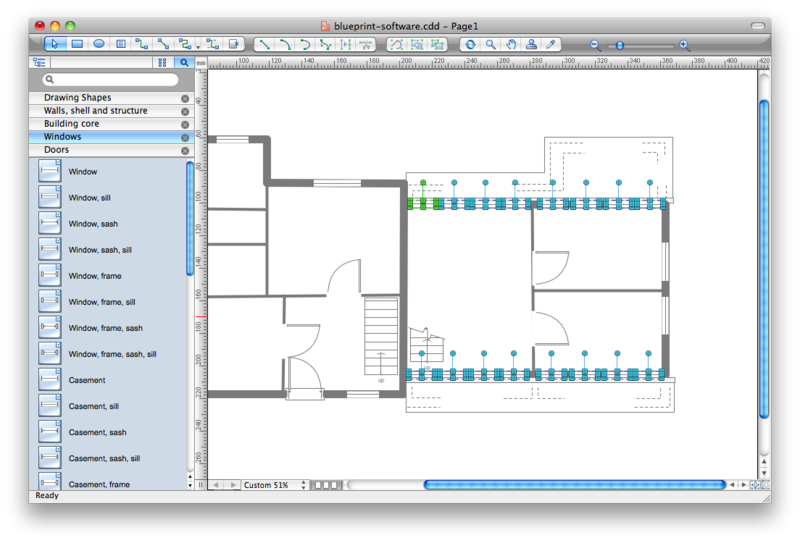 ConceptDraw DIAGRAM software for blueprints. The Floor Plans Solution from the Building Plans area of ConceptDraw Solution Park provides templates, samples and libraries with large quantity of vector objects that will help you to create the blueprints of any difficulty easy and quick. Pic 2. Building blueprint sample. The blueprints produced with ConceptDraw DIAGRAM are vector graphic documents and are available for reviewing, modifying, converting to a variety of formats (image, HTML, PDF file, MS PowerPoint Presentation, Adobe Flash or MS Visio), printing and send via e-mail in one moment.